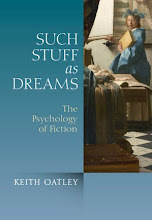 Two pursuits that run parallel to the psychology of fiction are the narrative theory of personality and narrative therapy. The narrative theory of personality was developed by Dan McAdams (e.g. 2001). His idea is of identity as life-story: people give their lives unity and meaning by constructing them into narratives. 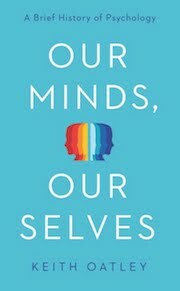 Among the interesting results of this approach is the finding by Kate McLean (2006) that in adolescence people stop thinking of themselves in terms of what they like and dislike ("my favorite colour is yellow, and I don't like pizza") and start thinking of themselves in terms of a story of their actions and the outcomes of these actions extended in time. Narrative therapy is another approach that takes up ideas from the psychology of narrative. Its founders were Michael White and David Epston (1990). I recently watched a recorded session from a family therapy conference held in San Francisco in 1989 in which Michael White was invited as a master therapist to interview a family: a mother, a father, an 18-year-old son and a 12-year-old daughter. Six years previously the son had set fire to a garage in the street where the family lived and recently, in the psychiatric facility in which the son was now living, he had set fire to two garbage cans. This was, as it were, the official story. An adolescent given to fire-setting was embarked on a trajectory in which he might be a danger to others. What should be done with this young man? Should he be involuntarily contained? When Michael White interviewed the family he asked the son about his experience of the facility in which he was living. The son said that members of the staff had maltreated some of the other residents, and that he felt like "going on strike" on his friends' behalf. Part of White's reading-with-approval has been Michel Foucault (e.g. 1979) who identifies the state as able to impose a power-backed truth on its citizens. White was evidently pleased to hear the idea of a strike. What struck me, however, was something different, more integral with the idea that narrative brings us close to who we are. White identified the idea of a strike as the son's loyalty to his friends. Parallel to this, he asked the daughter of the family about herself. She said she wasn't a kid anymore, and White asked her to say what she had noticed in herself that let her know this. He started, in other worlds, to co-write the son and the daughter as agents in their lives: he as someone loyal, concerned about injustice, and she as becoming more responsible, for instance in keeping her room tidy. They were the authors of their actions, feelings, and thoughts. 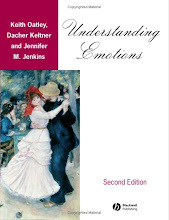 So, rather than being the behaviour therapist who suggests that people take new kinds of actions and hence have new kinds of experience of themselves, and rather than speaking psychoanalytically to offer interpretations of unacknowledged motivations so that their actions might become comprehensible, White identified people as authors of their actions and—like literary characters—with thoughts and feelings about these actions, which had implications for the future. One of the sources of Michael White's ideas was Actual lives, possible worlds (1986) in which Jerome Bruner describes narrative as a fundamental and distinctive way of thinking about human agency and intentions, and the vicissitudes these intentions meet. Bruner says it contrasts with paradigmatic thinking, as in science, philosophy, and history, which involves categories, mechanisms, and formal operations. 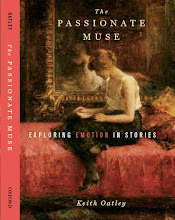 Bruner also writes about the landscape of action and the landscape of consciousness in fiction. (The actions and thoughts-about-actions of the son and daughter in this family reflected these two landscapes.) Bruner emphasizes, too, that in narrative there are always alternative interpretations. If this is so, White was encouraging the members of this family towards a mode which is, perhaps, the fundamental way in which we think about what we are doing in our lives and—because of the idea of alternatives—towards the idea of choice. Using the part of our mind that I have called the planning processor, we are able to project the effects of actions into the future and, running the processor the other way round, to understand the intentions and character of others (and ourselves) from sequences of actions. Michel Foucault (1979). Discipline and punish: The birth of the prison. Harmondsworth: Peregrine. Dan McAdams (2001). The psychology of life stories. Review of General Psychology, 5, 100-122. Kate McLean (2005). Late adolescent identity development: Narrative meaning making and memory telling. Developmental Psychology, 41, 683-691. 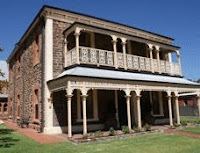 Photo: The Dulwich Centre, Adelaide, Australia, home of Narrative Therapy (click here).